“In the raw”…..get into the mind of a Calligrapher for a moment to see where I start with my letter designs. 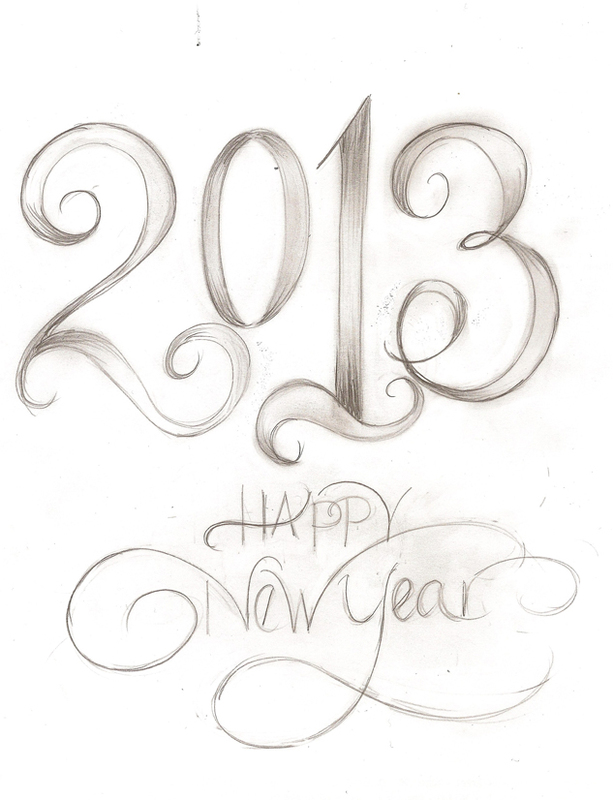 Here’s a very rough pencil sketch of my New Year graphic. I haven’t decided yet what to do with the final piece…I may re-ink it and pull into Illustrator to create a vector output.